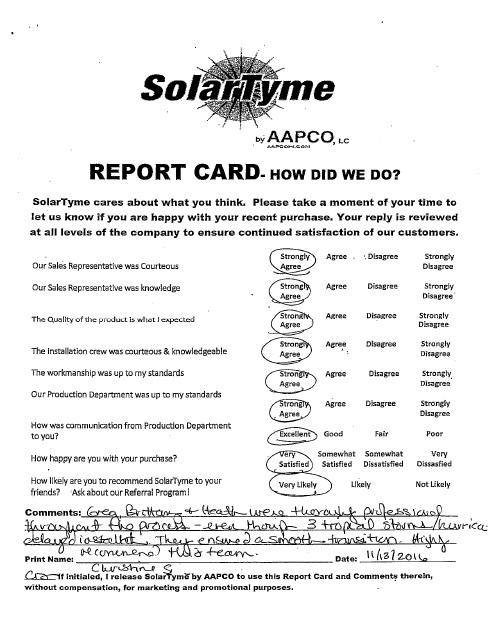 Gregg, Brittany and Heath were thoroughly professional throughout the process - even through 3 tropical storms/hurricanes delayed installation. They ensured a smooth transition. Highly recommend this team.